In Audrey Hepburn's American movie debut as Princess Anne, she stars opposite Gregory Peck's newsman, Joe Bradley. The princess is a sheltered noble who rebels against her restrictive life. Anne soon meets Joe and discovers the joys of Rome while also falling in love as she explores the ancient city. Joe is unaware that he has been spending his holiday with and also falling in love with the princess he is in Rome to cover. 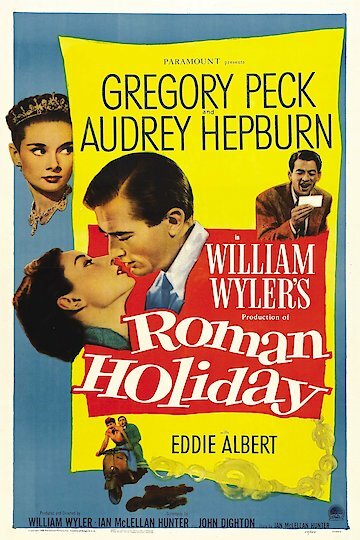 Roman Holiday is currently available to watch and stream, download, buy on demand at Amazon Prime, FlixFling, Starz, FlixFling VOD, Vudu, FandangoNow, iTunes, YouTube VOD online.